The restored Georgian mansion was originally built in 1730 for the powerful landowning King family. Today it holds a museum that focuses on the Irish regiment of the British Army, the Connaught Rangers and the President McAleese Collection as well as the Boyle Civic Art Collection. The house annually hosts musical, dramatic and cultural events and is central to the Boyle Arts Festival (19-28 July this year). Every Saturday from 10am-2pm there is a farmers market on site. Amenities: King House is fully accessible to wheelchair users and there are plenty of activities throughout the house for children. Free parking is on the street and in the car park at the rear of the house and a shuttle bus goes from Boyle to the nearby Lough Key Forest and Activity Park. Opening hours and cost: Tuesday-Saturday from 11am with last admission at 5pm and Sunday 11am-4pm. Prices: Adults €5, groups of 10+ €3, senior/child/student: €3 and family €15 (2 adults & 3 children). This preserved mansion was the family home of Major Denis Mahon, assassinated in November 1847 at the height of the Famine. The tour explores the Irish National Famine Museum which contrasts the story of the luxurious Mahon family lifestyle, also covered on the tour. Visitors can also explore the walled gardens and woodlands surrounding the estate. Amenities: Wheelchair users can access the house and grounds but there is no access for wheelchairs to the second floor part of the tour which covers the bedrooms. There are baby-changing facilities, a café, gift-shop and free parking. Opening hours and cost: Admission to the house, museum and walled gardens for adults is €13.50, seniors/students €12, children €6, families €28. The woodland walk is open free of charge and includes a fairy village for children to explore. Built in 1269, the medieval castle was occupied by various kings and lords until the late 17th century. For two centuries the family of the king of Connacht lived in the castle. Its ruin now remains within the public park that is 1km from Roscommon town centre. Amenities: The park offers bird watching at the turlough, a wildlife conservation, duck pond, children’s playground and outdoor gym equipment. It is accessible by ramp up to the castle and there are no toilets or cafe on site. To note, the interior of the castle may not be fully accessible and some of the higher towers are gated off for safety. Opening hours and cost: Admission is FREE and there is a free car park. Rathcroghan is the oldest and largest excavated royal complex in Europe and for approximately 6,000 years people have left their mark on the area. Over 240 archaeological sites are contained here and it is a key location to discover Ireland’s mythology. Kings were inaugurated here and the site has contained great tribes, wealthy chieftains and families. Visitors can see how people in the Iron Age and medieval times dressed, ate, lived and prayed. It was home to Warrior Queen Medbh as well as being the origin for the festival of Samhain, which we know as Halloween. Amenities: The visitors’ centre has full wheelchair access but the archaeological sites are not suitable for wheelchairs. There are car parking facilities, toilets, café, gift and book shop on site. Opening hours and cost: The visitor centre is open from Monday – Saturday from 9am-5pm and from noon to 4pm on Sunday with tours conducted at 12 and 2pm daily. Entry to the exhibition only costs €5 for adults, senior/student €4 , child aged 10+ €3, groups of 10+ €4. The exhibition and tours prices are €14 for adults, senior/student €12, child aged 10+ €6 and groups of 10+ €10, 20+ €8. This collection focuses on farm and folk life in Ireland from the 18th century to more modern farming lifestyles. Memorabilia from bygone days ranges from trade tools, butter churns, sheep shears and there are over 6,000 items altogether. It contains the McCormack Photography room, Famine Memorial Stone and vintage machinery as part of the tour. Amenities: The museum is wheelchair accessible with car and coach parking and a picnic area. Opening hours and cost: The museum is open Monday – Saturday from 10am-6pm and an appointment must be made before your visit. Entry is priced at €6 per adult, €4 for child or student, €18 for families and €5 per person for larger groups. Thanks to Roscommon County Council heritage officer Nollaig Feeney for her recommendations. LATER TODAY: Top 5 must-sees in Sligo. Email “Your summer in Ireland: 5 must-see sites in Roscommon”. 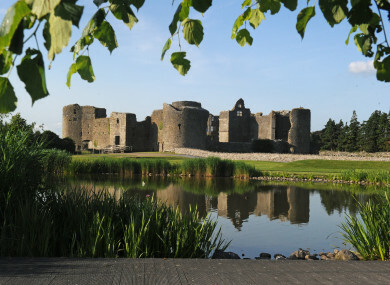 Feedback on “Your summer in Ireland: 5 must-see sites in Roscommon”.